When you develop apartments and condominiums—and provide management services to more than 30,000 units across the US—understanding social impact comes with the territory. From investors to tenants, engaging with the public is key. And in today’s world, social media acts as the town square. 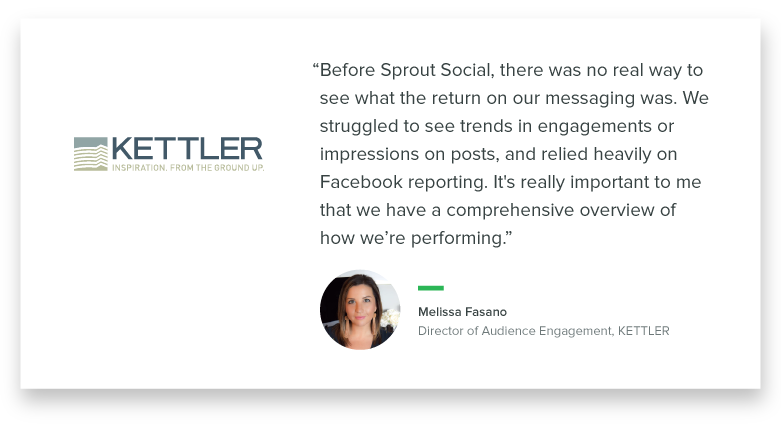 Through Sprout Social, KETTLER is able to maintain its brand consistency across its portfolio of nationwide communities while significantly growing engagement with current and prospective residents, sometimes by more than 500%. Melissa Fasano started at KETTLER in 2016 as a Social Media Manager. 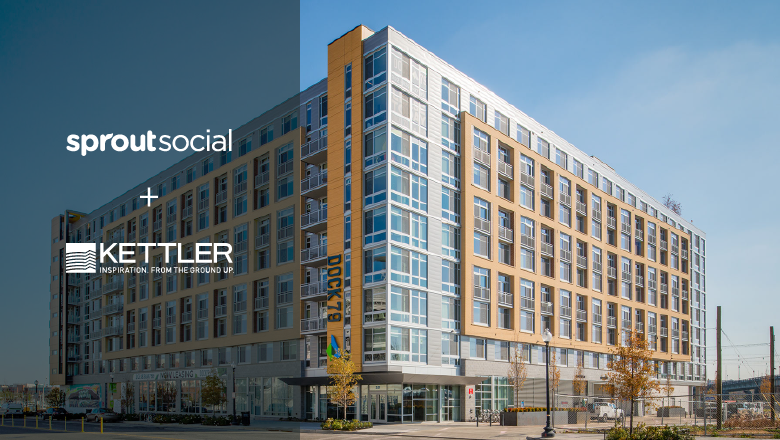 As she took on her current role of Director of Audience Engagement she remained focused on how best to streamline social for KETTLER’s growing portfolio of properties. That tool came in the form of Sprout Social. Fasano created a social program for the KETTLER team to follow that heavily focused on Sprout’s capabilities, including the message approval feature. Nearly a year later, the benefits of investing in Sprout are evident. 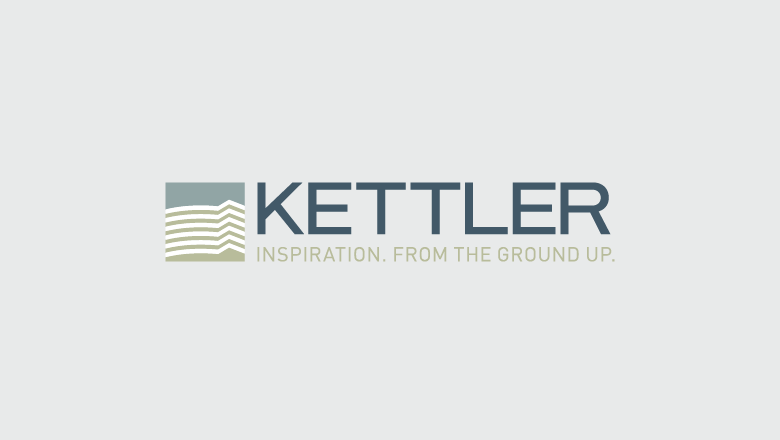 Beyond publishing, KETTLER is focused on resident retention. Engagement and outgoing messages are key KPIs for KETTLER, as the company wants to cultivate strong relationships with current and prospective customers. Over the course of the past year, the results of her social efforts have given Fasano plenty of reason to smile. 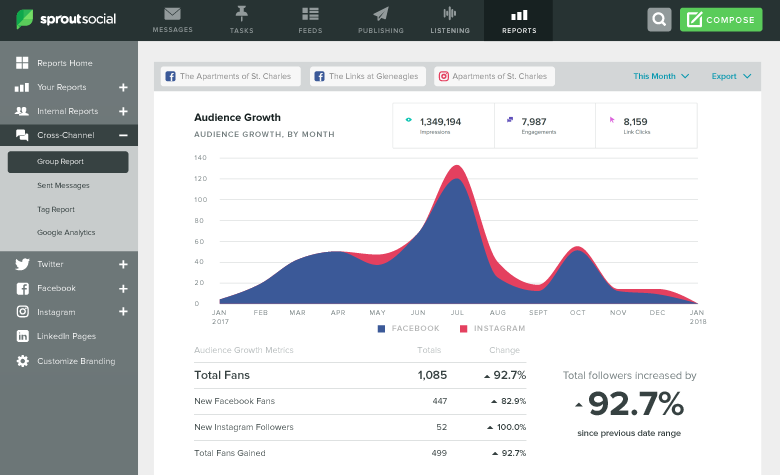 At one property in St. Charles, Maryland, Facebook and Instagram engagements increased 548.8% year over year. This can be partially attributed to a 90.6% rise in outgoing messages over the same time period. Another property, this one located in Newport News, Virginia, saw engagements rise by 247.8% year over year. KETTLER’s corporate social profiles have also benefited. Across Facebook, Twitter, Instagram and LinkedIn, the company achieved a 293.4% increase in engagements over the course of 2017. Additionally, over the same time period, KETTLER captured 603,432 impressions and 5,774 link clicks. It’s important for Fasano to prove ROI in an industry that didn’t always understand and value the impact of social media. So what’s in store for KETTLER and Sprout in year two? “We’ll be doubling down on using Sprout and refining the way we roll it out to new hires to really make sure we’re covering all our bases and getting the most out of the tool as possible,” Fasano said. Part of that includes leveraging Sprout’s tagging functionality to gain better insight into specific marketing campaigns. Creating more content based on the most popular and effective posts from the last year is another priority. And then there are Sprout’s chatbots. If the past year is any indication, KETTLER’s social future looks bright.